How do I participate in a task to earn crypto? After signing up using Facebook or Google, click the 'Home' button to find a list of latest tasks. Click on a task which looks interesting to you. Read the description and then give your opinion in the comments section. Hit 'Submit' and your comment will be available for readers to vote on your idea. 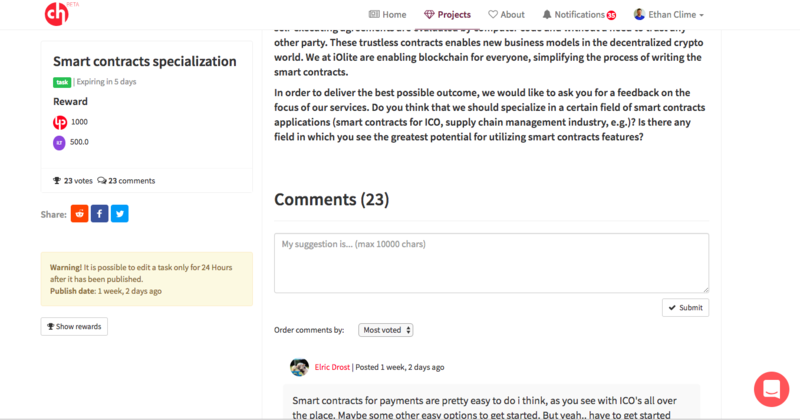 You earn crypto depending on the number of votes your comment received.